Free paper pieced pattern for 12″ finished block that includes detailed photographic instructions on how to paper piece. Today, my new Jewel Puzzle paper pieced block pattern was featured on Sew Mama Sew! Head over to Sew Mama Sew for the Jewel Puzzle Tutorial. 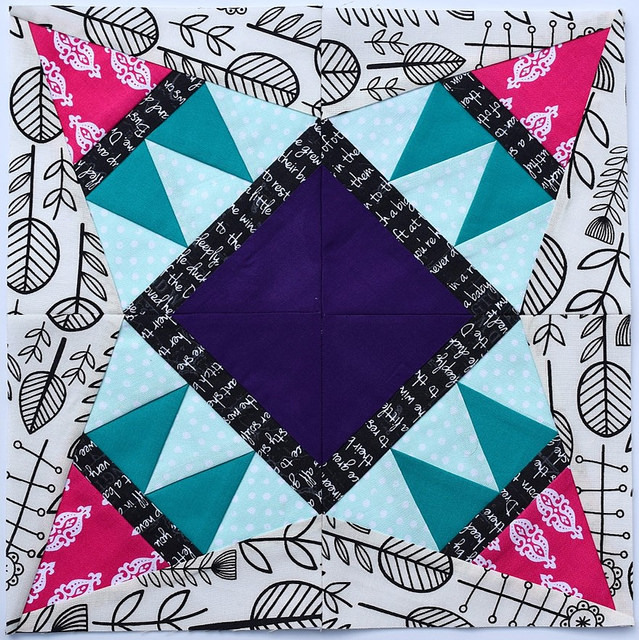 This paper pieced pattern is probably a solid intermediate level… not too hard because there aren’t a lot of intersections to match up, but a lot of pieces for a true beginner. I made this block to use a pillow in my daughter’s new room. I wanted something bright and cheerful, and I think this block does just that. 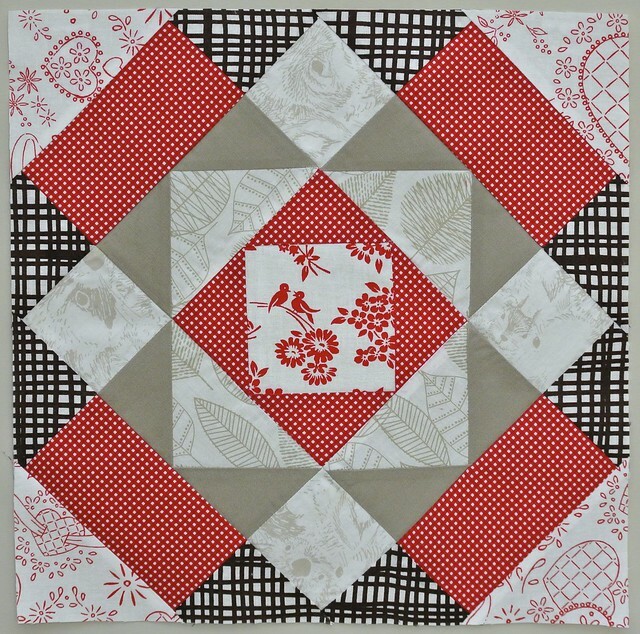 I also made a version of this block for my Red & White Sampler. It amazes me how different these blocks look with some different fabric and different fabric placements. If you make this block, please let me know because I would love to see your work! I’ve started an Instagram tag for #jewelpuzzle block, or you can email me a picture. Or, is the better question what am I not working on? – I owe my August Block to Toni for Stash Bee Hive 12. I have some black solid fabric now, so I better get started. – I am starting a round robin bee with some amazing ladies from the Plum and June New Blogger Hop 2014. I think I finally decided on the design, so now I need to sew it because I’m supposed to mail it off September 1st. – I entered 4 items in the Sandhills Quilt Guild 2014 show. Three are quilts and need hanging sleeves attached. One of the quilts needs the binding finished. The bag I’m entering needs the lining sewn in. All this has to be done so I can drop them off by September 12th. 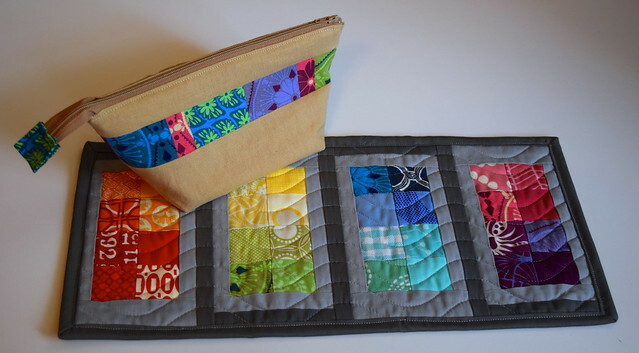 – I started the Spell it with Moda quilt about 6 months after everyone else finished theirs. We finally made a room for my daughter, and it will look perfect on the wall. I am halfway done with B and C so far. – I need to make my guild name tag now that I have the embroidered part. – I also started a shirt today. I have too many quilty deadlines, so I needed to sew something for me! It’s Sewaholic’s Belcarra Blouse, part 3. One of these days I’ll get around to showing off part 2, and now this one I made today. That is a hard question in quilting because everyone’s work is already so varied. I think it’s hard to truly have such a unique style that someone looks at your quilt and immediately knows that it was yours. 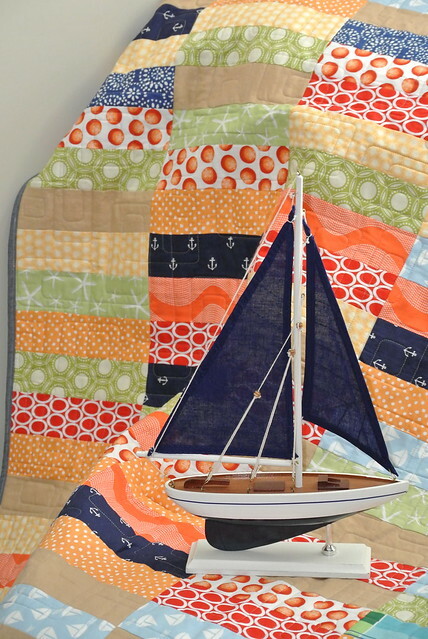 There are a few quilters that I can think of that pull it off, but most of us are not that way. I think my style is still developing. I started out very traditional, but am moving more toward the modern side. I love bright, modern fabrics. 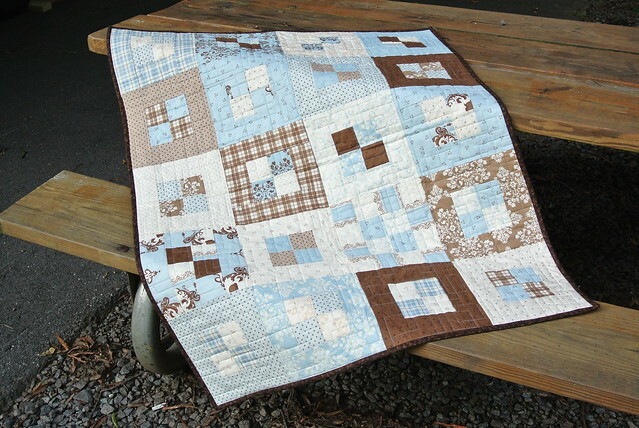 But I also love the detailed traditional quilt blocks. I think my style is still developing. I love all the different styles out there too much to stick to just one! I love to sew. I don’t know why or where it came from, but I love the satisfaction that comes from sewing. I love picturing what I want it to look like, and then making it. I’m also very picky, so I like that I have control over what I’m making. Then, there is also sanity. Sewing calms me, it’s my version of zen. If I haven’t sewn in awhile, I feel almost antsy. It’s my refuge in my stay at home mom life. I get inspiration from everywhere. The roofline on an old mansion, a tile floor, instagram, blogs, pinterest, antique quilts, fabric. 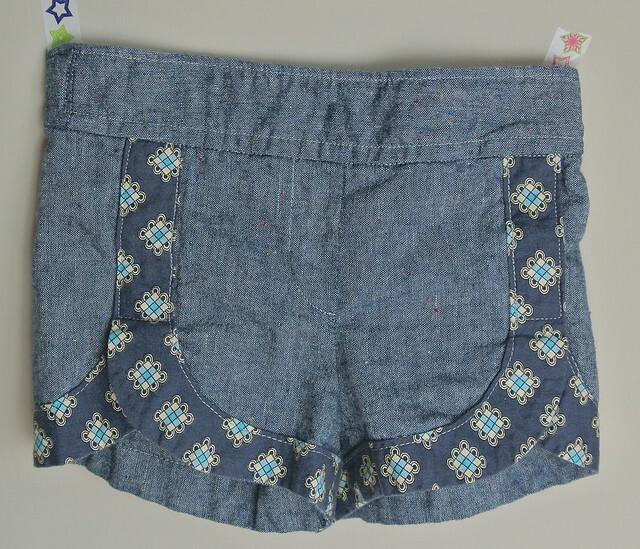 I have a million ideas in my head waiting for the time to come out through my hands into my sewing machine. I decide what to actually make based on more practical concerns. What do I actually need? 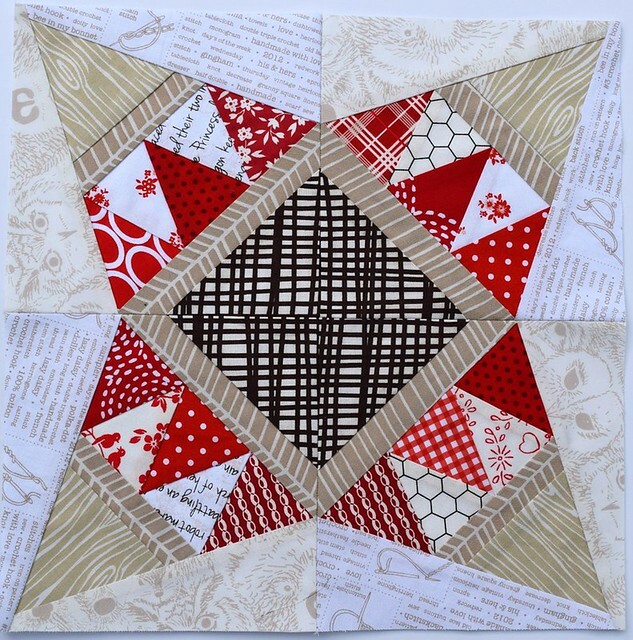 I need a quilt for my queen sized bed – I’m working on the Real World Red & White Quilt to fill that need. If my daughter needs leggings, I make leggings. If I’m tired of my current clothes situation, I will make a shirt. I have so many projects in the queue that I just adjust the order for what actually makes sense to create. On a more practical level, once I get an idea for a quilt into my head, I will generally sketch it on paper. If I plan to turn it into a tutorial or pattern, I will put it into the computer. I generally leave it black and white. I do color tests with the actual fabric by arranging them so that they touch in as close a manner to the pattern as possible. At that point, I usually am happy with the arrangement and proceed to cutting and sewing. I like to chain stitch and do multiple blocks at the same time. However, I find that if I cut out an entire quilt at once, I am generally too bored with it by the time I’m done cutting to actually sew it. I work best by sewing about 10 blocks at a time (depending on size or intricacy, bigger or more intricate blocks will be fewer than that). Once I have the top done, I am generally tired of it so I often leave off the border and wait months to piece together a back. Quilted tops have sat waiting for binding for as long as a year. I’m really good at finishing the top, but the back and binding can and will linger for awhile. Please check out the others Sarah linked to today: Heidi from Fabric Mutt and Mara from Secretly Stitching. And now I am going to pass the torch to the ladies of my new round robin bee. Once I see who wants to play, I will update with their info. Thanks for stopping by!